← Welcome to the 80’s baby! 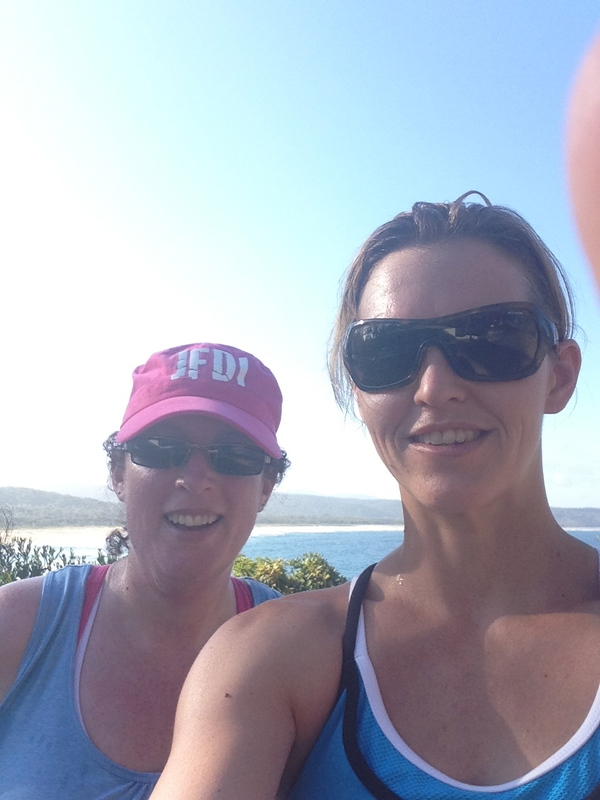 My trainer is currently on holidays camping at Tathra (about 20mins from where I live) and she very kindly offered to take me running. I knew I’d be in for all shades of pain but was ridiculously excited. 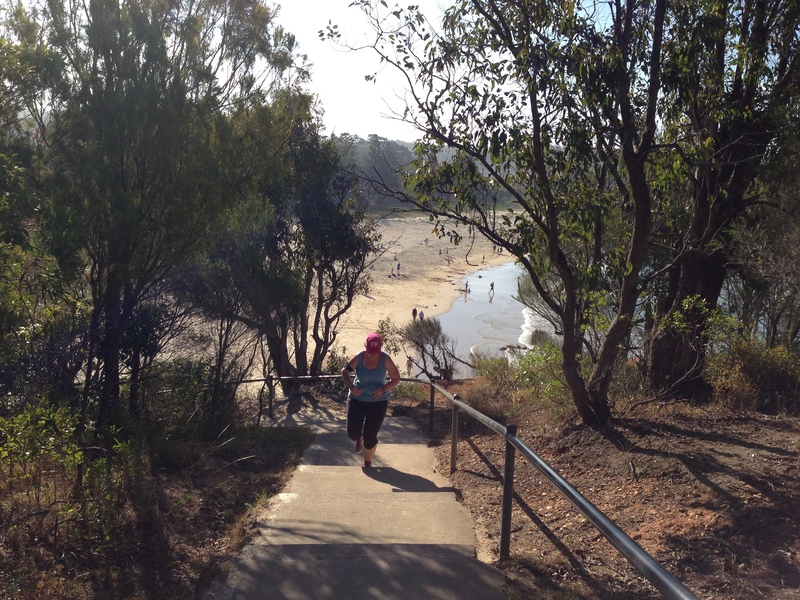 For the warm up we walked up a set of stairs to the top of the cliffs at Tathra, then ran around to another set of stairs that come out on the beach. We walked down those stairs then turned around and ran straight back up them. At the top, Kim asked me to pick a number. I’d done them once, how many times did I think I could do them? My immediate thought was 10. Not cause I thought I could, but it seemed like a nice round number. But I picked 5. By 4 I was flat out dying. You would think, being the beach, that there would be a lovely seabreeze but there was nothing. It was damn hot and hard work and I LOVED IT! I seriously cannot get enough of this at the moment. Well, maybe I could get enough of those at the time but you know what I mean. So I got lap number 5 done and, as I fully expected, we went again. And again. And again. Kim said she wanted me to do at least 6 or 7 so I figure why not go 8 and exceed both our expectations? 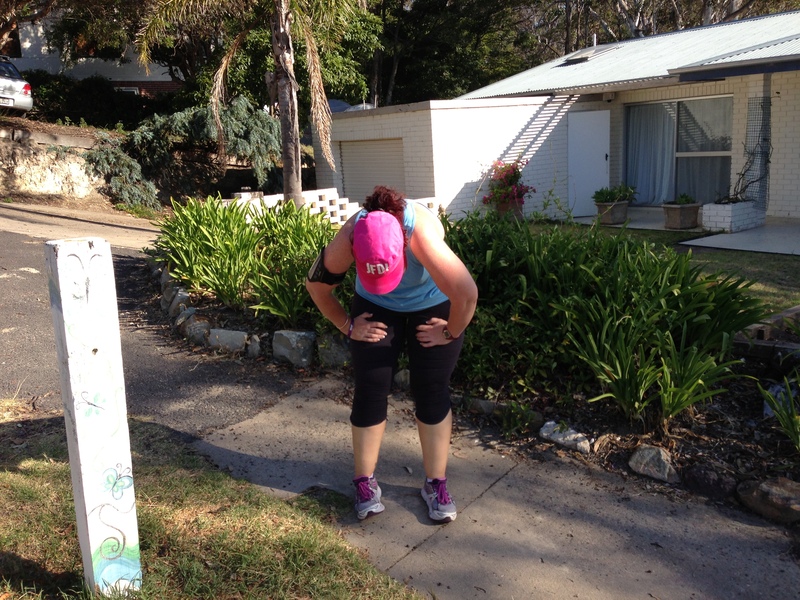 We then ran back up around the road and walked down the other set of steps we had used for warm up.